Before running out to get an electrolyte pack, it's important to have a solid understanding of what exactly these powerful agents do for your body. Most of us know that electrolytes are the thing that helps us stay hydrated, but that's not enough information to know how and when you need to replace your electrolytes. By following sound procedures, you can ensure you're able to maintain proper hydration and keep your electrolyte levels in balance. The nutrition market is rife with scams, so you have to know what you're looking for to avoid gimmicky language and sales speak. 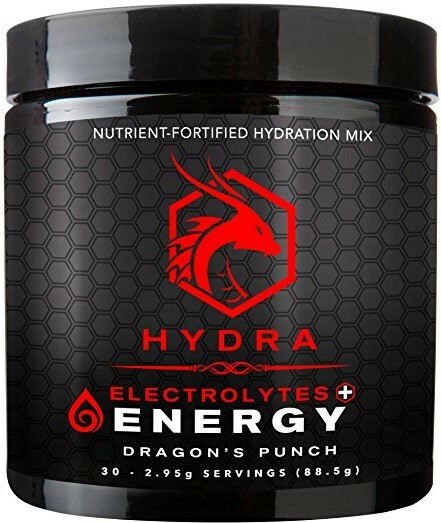 Too many products will use nonsense words that really have no bearing on an electrolyte supplement. Words like gluten-free and natural really don't mean much when it comes to electrolytes for two reasons. There should be zero gluten in the minerals that constitute electrolytes in the first place and natural is a word that can be used in any context to mean whatever the manufacturer wants. Use our guide to ensure you don't get swindled and tricked by clever marketing language. Electrolytes are minerals that have an electric charge and they are found in your blood, urine and bodily fluids. The most common electrolytes include sodium, calcium, potassium, chlorine, phosphate and magnesium. These minerals are essential for maintaining proper muscle action, heart health and vital processes. Most people get enough electrolytes from the food they eat and the beverages they drink, but this may not be enough if you have a special situation. Most commonly, athletes and people on low-carb diets may find that they are deficient in certain key electrolytes. The most common deficiencies are in sodium, potassium and calcium, but add magnesium to the list if you're on a keto diet. Electrolyte imbalances are one of the causes of the keto flu that first-time dieters often experience. By getting the right balance of magnesium, sodium and potassium, it's possible to reduce many of the effects of keto flu. When adding potassium to your diet, it's best to get your levels checked by a doctor first. The recommended dose is 2,000mg a day if you're not on a keto diet. Make it 3,000mg a day if you are. But, you have to be careful since you need to subtract the total amount of potassium that you're getting from your food. This is one electrolyte you do not want to take too much of. Healthy individuals should take around 400mg a day of magnesium. This is typically enough for people who are on a keto diet as well. You also need to get about 3,000 to 5,000mg of sodium on a keto diet. Get some of this from your diet and supplement the rest. While athletes often go for electrolyte-infused beverages, this won't work so well for someone on a keto diet. Almost all sports drinks are loaded with carbohydrates, which makes this a poor choice for people on a keto diet. Look for a product that is free of artificial flavors, preservatives and chemicals that you don't need. If you try a supplement and you get an upset stomach, you may need to move on to a new supplement. Different people react in varying ways to electrolyte supplements and what works for one person might not work for you. Sustained relief tablets are a good option to ensure you don't get a surge of electrolytes all at once. On the keto diet, a sustained release tab is essential. So, you know you need sodium, potassium and magnesium, but you need to first count how much you're getting in your diet. Since nutrition labels sometimes require a degree in science to decode, we've listed the most commonly used words for each electrolyte to help you along. Sodium: This electrolyte may be listed as sodium chloride, citrate, selenite, molybdate, benzoate and/or bicarbonate. Potassium: May be listed as monopotassium phosphate, potassium citrate, L-lactate, dipotassium phosphate and/or potassium iodide. Magnesium: May be listed as magnesium oxide, citrate, and chloride. A dietary supplement should include the amount of elemental magnesium in the product. Look for magnesium in the aspartate, citrate, lactate, and chloride forms since these are absorbed more readily. There are health risks for all three of the major electrolytes that you need to supplement with. When it comes to magnesium, you can eat as much of it as you want if it comes in the form of a food. The kidneys are able to get rid of the excess if it comes from your diet. In a supplement, you may experience diarrhea, abdominal cramping and laxative effects. Magnesium can also interfere with medications, including antibiotics, diuretics, bisphosphonates and proton pump inhibitor drugs. Too much potassium may cause health problems that are extremely serious. While a low level of potassium can weaken your muscles, cause an abnormal heart rate and raise your blood pressure, too much potassium can create a condition known as hyperkalemia. It can result in poor kidney function, a severe infection and abnormal heart rhythms that are extremely dangerous. Commonly known simply as salt, sodium can build up in your blood and cause high blood pressure. Doctors recommend taking in less than 2.4 grams of salt per day. Taken in the right dosage, it can help keep the balance of fluids right in your body. It also helps your nerves and muscles function. 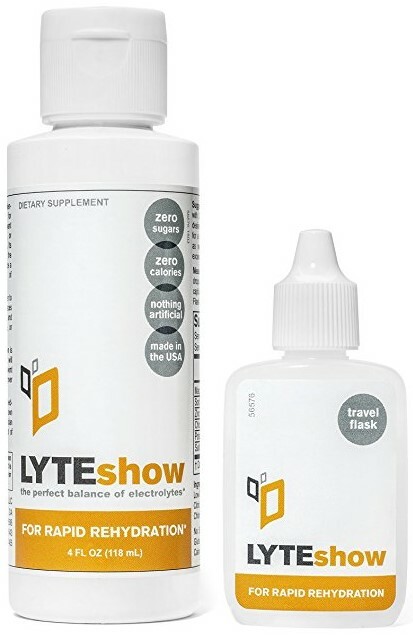 Lyteshow offers the right mix of electrolytes to ensure you're getting a balanced and safe product. If you are experiencing symptoms of the keto flu, this supplement can provide assurance that you're getting the minimal amount of minerals needed for optimal health. Since it's a liquid concentrate, it should be absorbed more readily into the body. You'll also get a product that doesn't include any calories, sweeteners, carbs or artificial products. The taste isn't exceptional, but this is a pure product that you can feel confident trusting. 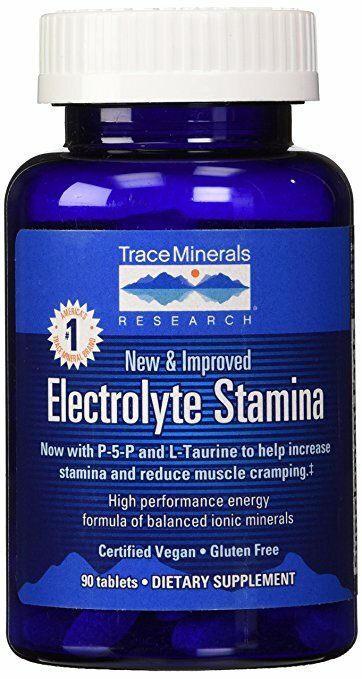 Contains six minerals to help restore electrolyte balance. Dosage is reasonable so you don't have to worry about taking too much. Liquid concentration lets you compute precise levels. The product needs to be shaken well and kept in a cool, dark place. Includes sulfate, which isn't typically required. This product is for those who are lacking in energy and want something that offers more than a simple electrolyte restoration. The maximum daily value allowed in a typical potassium supplement is four percent. However, because of the addition of other elements, this one provides you with 17 percent of your daily RDA. The mineral forms are all designed to be absorbed well by the body. You'll also get some kelp, alfalfa and taurine to help give you an extra boost of energy. While there are 2 carbohydrates, the addition of carbs should make this supplement easier on sensitive stomachs. The addition of other ingredients also makes this a good choice for people who respond negatively to mineral supplements. Includes a daily dose of Vitamin B6, which can help with energy levels. Includes a higher than normal dosage of potassium, which is hard to find in a supplement. Includes several trace minerals that are difficult to get in your typical diet. The supplement does contain calories and a few carbs, but this can make the minerals absorb more easily. Contains iron, which can be problematic for people who are getting plenty of iron in their diet. This product comes in a powder form, which makes it easy to mix. Each dose is pre-measured in convenient packets. As long as the dosage works for you, you should have no problem using the powder. Mix it with a low-carb beverage to make it easier on your stomach if you have any issues. The product doesn't contain magnesium, but that could be seen as a benefit since some studies suggest magnesium needs to be absorbed on its own. The powder form lets you control how much you're getting. It includes key nutrients that are designed to help ensure proper hydration. Dosage is at a safe level, so you don't have to worry too much about overdosing. The supplement doesn't contain magnesium, but there is some evidence to suggest magnesium should be taken by itself at least one hour away from other supplements. The powder can be difficult to manage if you want a higher dose since it comes in packets. This is a good supplement that provides you with only what you need to restore your fluid balance. There is enough sodium to ensure that your body is able to maintain the correct water levels. You'll also appreciate the fact that it has the maximum amount of potassium allowed in a supplement. It uses minerals derived from the sea, and it doesn't have any known allergens or extra ingredients. The supplement contains the maximum amount of potassium allowed by the FDA. Magnesium and sodium come from sea minerals. Includes zinc to ensure your body can heal properly. Must count out 48 drops per serving, which can be time-consuming and inaccurate. You'll want to add this concentration to water with lemon or lime. If you're low on energy, this product should help give you a boost. It contains caffeine from green tea and guarana, so you should get a clean boost from this product. It also includes a host of B vitamins, and it is only five calories with no carbs. The product's main downfall is that it only has one percent of the RDA for potassium. However, if your potassium is high, then this should be the perfect product for you. Offers a cocktail mix of several key nutrients that can help minimize the keto flu. Provides the optimal blend of electrolytes for a safe recovery. Contains green tea and guarana, which could make you jittery. Potassium is only one percent of the RDA. 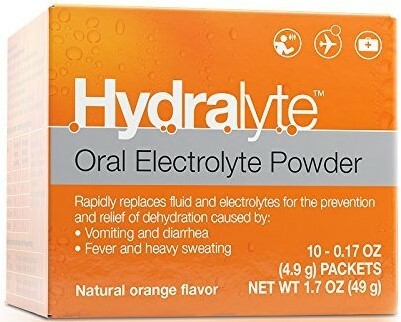 You shouldn't need large doses of electrolytes unless you're an elite athlete. While some electrolytes are lost on a keto diet, you can replace them safely using a moderate electrolyte replacement. Only the most crucial electrolytes were discussed in this article, but the supplements we chose will provide you with the right minerals to stay healthy. LyteShow offers the best option for someone who just wants to make sure they are getting a minimal amount of the right minerals to stay healthy without overdoing the supplementation.